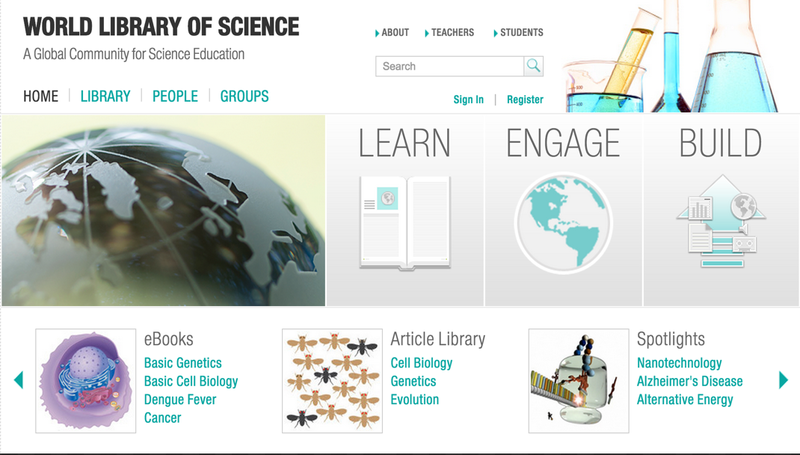 World Library of Science is the fruit of a partnership between UNESCO and Macmillan Science and Education.This project has as a purpose providing equal access to high quality science resources to a global community of learners and teacher. Teachers section in World Library of Science is a place where teachers can create an engaging virtual space or classroom for their students.You can use this space to share course materials, initiate discussions, and post announcements for students. These are ” central locations for collections of articles, eBooks and groups on a broad topic area”. It features an archive of video and audio interviews and animations.